Wuxi National Hi-Tech District (WND), founded in 1992, was given administrative status and named Xinwu District in February, 2016. WND is located in the southeastern part of East China's Jiangsu province, between Shanghai and Nanjing. It lies within the Yangtze River Delta, China's most economically developed and vibrant area. The district has an advanced transportation network due to a high speed rail station and airport, which make business travel within easy reach, while cutting logistics costs and transport times for all enterprises. As a pivotal part of the South Jiangsu National Innovation Demonstration Zone, WND has been the economic engine behind the opening-up of Wuxi. It is Jiangsu’s only development zone to be selected to the first batch of innovative bases for overseas high-level talent of the “Ten Thousand Talents Program”. The district has ranked second in comprehensive evaluation of national development parks in Jiangsu for the past 10 years. Over the past 25 years, WND has led the way in the province and nationally in industry development, technology innovation and opening-up. As Wuxi’s industrial highland, WND prioritizes emerging industries, uses intelligent manufacturing as its core and pays great attention to the modern service industry. The district is shaping a string of industrial clusters including high-end equipment manufacturing, Internet of Things & cloud computing, new energy & new materials & new displays, biotechnology and new pharmaceutical industry as well as software and service outsourcing. WND has been optimizing its talent introduction policies, as well as its support for start-ups and government services. The district was the first national high-tech zone to implement an overseas talents introduction program in 2006. 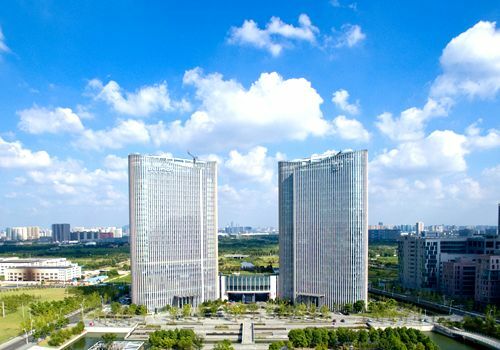 It has attracted more than 1,600 science-and-technology enterprises and built an innovation park, software park and MEMS park covering 2.6 million square meters. The district has attracted large numbers of returnees to startup businesses in Wuxi, with 210,000 talents in various fields among which 75 are from the “Ten Thousand Talents Program”, a recruitment program for global experts. In recent years, WND has attracted more than 1,500 foreign enterprises from dozens of countries and regions thanks to its efficient government services, clear industrial plan and excellent business environment. The district has 110 projects invested in by 53 Fortune Global 500 companies. Its total approved registered foreign investment reached $29 billion in 2016 with actual foreign capital utilization totaling $19.7 billion.